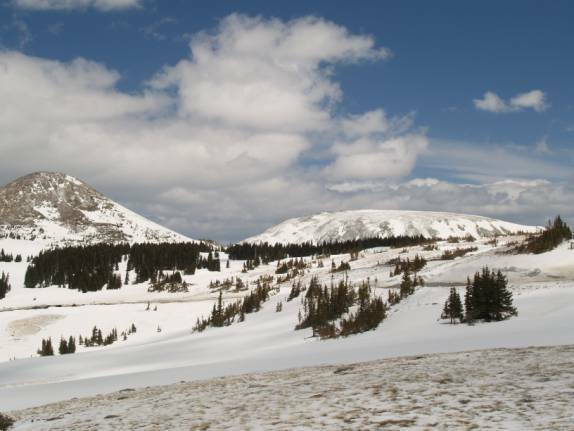 Every year U.S. Highway 130 over the Snowy Range Pass west of Laramie, Wyoming is closed for the winter. 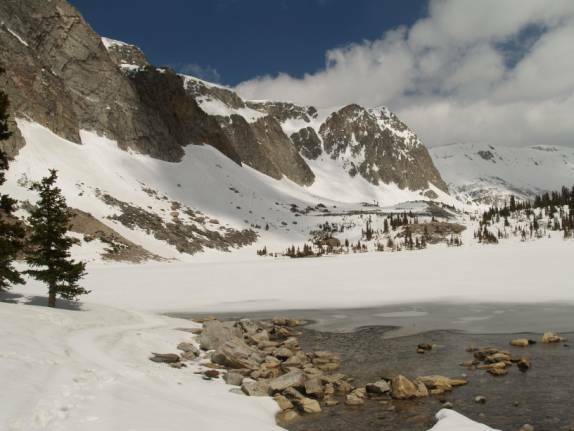 This is true of many high elevation roads in the American west, including Highway 212 over the Beartooth Plateau northeast of Yellowstone National Park, and Trail Ridge Road in Rocky Mountain National Park. 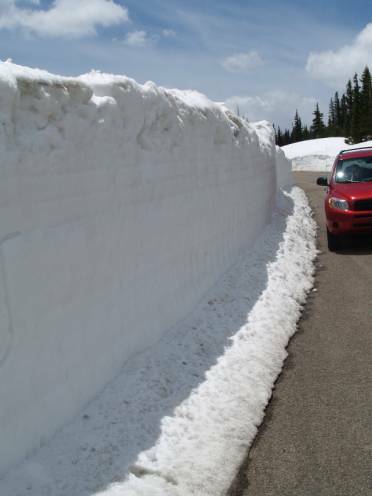 The Snowy Range Pass road is typically plowed during May just before the Memorial Day weekend. Some of the cuts through the snow are over ten feet high. It takes the Wyoming Department of Transportation (WYDOT) about one day per mile to plow the deeper snows. First, snow cats and plows level the snow down to about 5 or 6 feet, which is the height that best accommodates the rotary snow blower. Then a lead rotary snow blower is driven down the center of the roadway creating a thin strip through the snow. Second and third rotary snow blowers follow behind the first to clear each side of the roadway. Once the roadway is cleared, a truck fitted with a large snowplow in front scraps the ice off the road. The sun does the rest of the job. The elevation here is about 10,200 feet. 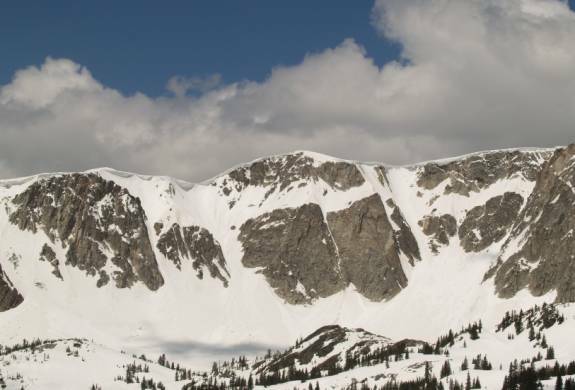 Snowy Range Pass. 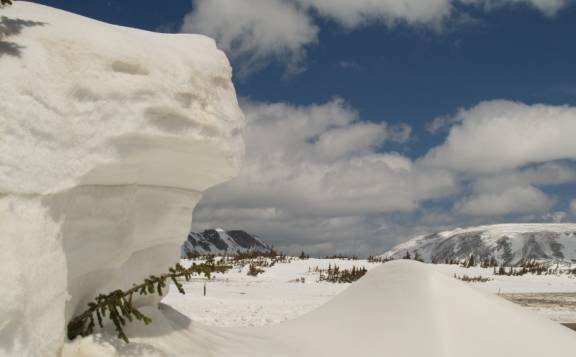 The winter wind can blow the snow from some areas exposing bare rock and pile up the snow elsewhere.